Self-proclaimed geek and author of The Geek’s Guide to Dating, (Dec 3, Quirk Books) Eric Smith, answered a few of our questions about himself and his most recent project. What makes you a geeky author? Well, I pretty much consider myself a full-time geek. By day, I work at Quirk Books, a publisher that loves putting out all kinds of fun, appropriately quirky and geeky books (besides mine). Our recent bestseller, William Shakespeare’s Star Wars by Ian Doescher, is a perfect example. When I’m not busy there, I can be found running Geekadelphia, a local Philadelphia geek blog, and co-organizing the Philadelphia Geek Awards, a ceremony that honors local geeks in our city. I also write for Geekosystem, BookRiot, and a handful of other places, about books, comics, and video games. Oh! And I own a suit of Master Chief armor. When you’re not working, where are you most likely to be found? Sometimes writing, holed up in my favorite coffee shops with my good friends, or relaxing on the couch with my fiancée, playing video games or watching movies. What inspired you to write a dating guide for geeks? Was it a personal experience? Quirk’s publisher, Jason Rekulak came up to me with the idea one day at the office. I’d been writing about geek culture for a while, and he thought it’d be fun to see if I could channel all that into a fun geeky dating book. The result? The book! It was definitely a personal experience. I ran pieces of the book past my now fiancée, shared excerpts with friends. I had a great writing group that helped me out a lot. 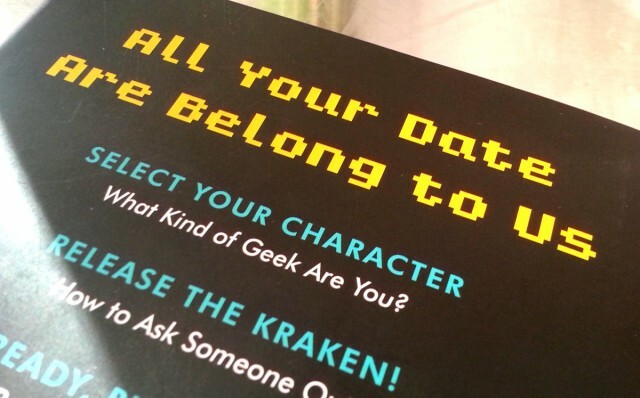 How did you come up with all the geeky cultural references that fill The Geek’s Guide to Dating? A lot of it was rattling around in my head! I spend a lot of time watching movies, playing video games, and watching bad television, a lot of which I pulled into the book. I’ll admit, I didn’t know much about comic books at the time I started working on the book, so I turned to a lot of my friends for that. The result? I read way too many now. Currently reading Hawkeye: My Life as a Weapon, and I’m in love. Our reviewer was curious what inspired you to develop and include “geek subtypes” during the “Select your Character” section early in the book. Oh, I thought it’d be fun for a couple of reasons. Lots of dating guides and articles floating around the Internet break people down into categories, to help them understand themselves better. The whole “geek subtype” thing was a spin off that. And in a more practical sense, it’s really important to know yourself before you go out there into the dating world. Who you are, what you like, what you’re looking for. You know, now that I’m engaged, there’s the temptation to say stuff like “oh, I really don’t date anymore,” but that’s really not the case. I still take my fiancée out on dates whenever I can. What are your expectations/hopes for this book? Ideally, I’d just love to see a lot of people get a kick out of it. I want it to make people smile. I also hope it helps fight against that whole “pick up artist” demographic. Ugh. Hm, good question! Maybe I’d add a bit more about settling down, moving in together, getting married… I mean, I didn’t know that’s where I was going to be eight months after I turned in the manuscript! I feel like I could dish out some good pointers now. Maybe I’ll write some essays about that fact! Your intended audience seems to be very niche (Single geeks) — why do you think they should pick up this book? Because they’ll get it! It’s definitely written for my geeky people, with all those fun references through out. I had a great time writing it, and hopefully they’ll enjoy it. Anything else to add about your latest book? Hm, well Amazon recently picked it as one of their Best Books of 2013, in the Humor category. It was a real honor, I was so excited! I’m busy working on some novel ideas. My fabulous agent, Dawn Frederick at Sofa Rofa Literary (hi Dawn!) is busy pitching a YA series around that I’ve written. So hey, we’ll see where that goes! In the meantime, you can always catch me blogging. There is a fun web series for the book! I wrangled up a bunch of my geekiest couple friends, and had them shoot short clips detailing their relationships and dishing out advice. You can check them out over on the Quirk site here every Tuesday, or over on Geekosystem where they’ve been syndicating the videos. This is the most recent, and a favorite. Mikey is one of my groomsmen. 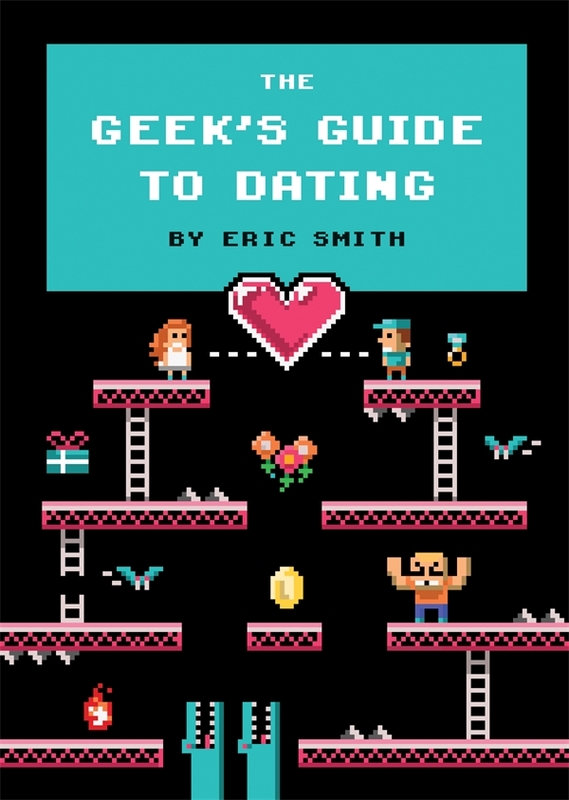 The Geek’s Guide to Dating will be released on December 3rd from Quirk Books. May the force be with you, Player One.